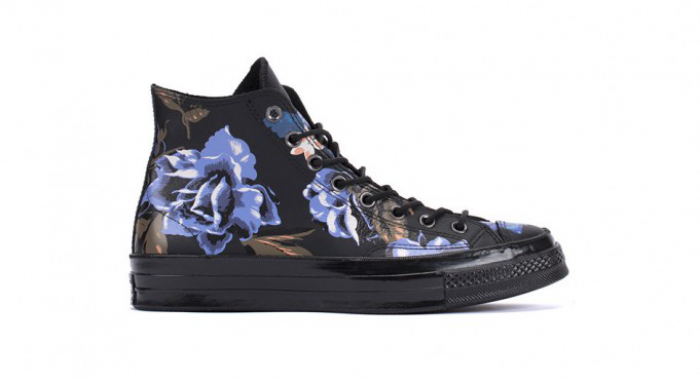 Converse Chuck Taylor 1970s High "Black Leather Floral"
Old school meets modern day. Classic meets current. Tough meets soft. That is what's written all over this shoe. 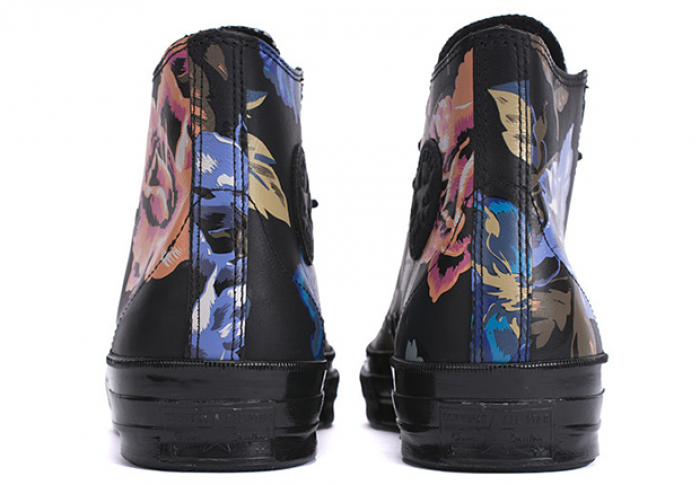 You have the traditional 1970s silhouette featuring all Black leather and covered in double-sided floral print. You have that old school style brought together by today's seasonal style patterned with neutral tones and floral prints. When history meets the present. 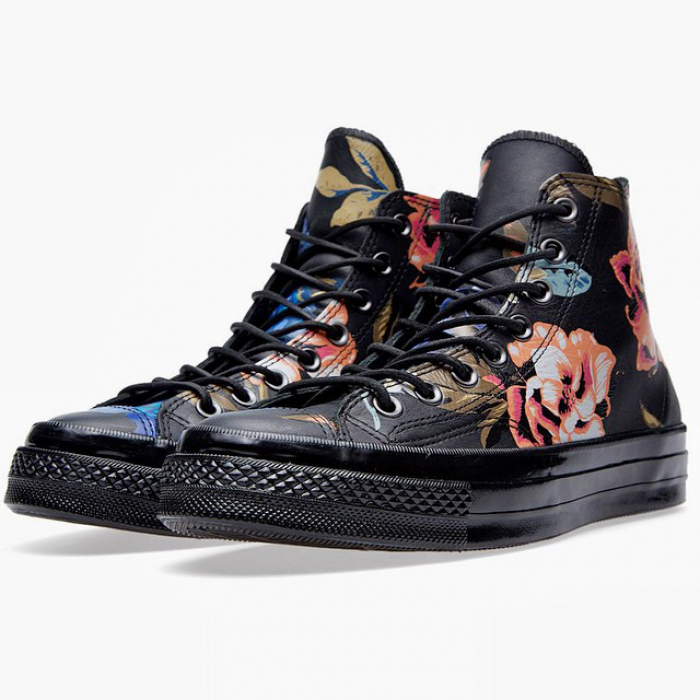 The Converse Chuck Taylor 1970s High "Black Leather Floral" represents two specific flowers - The "Mayflower" and the "Rose" which is why you will find Pink/Coral print on one side and Blue/Purple on the flip. Apparently, the inspiration behind the two flowers is from our own Massachusetts state flower and the United States national flower. Pretty dope, huh?! Talk about historic! Make history while you walk and cop these at your local Converse retailer. All for the Love of Kicks.